You like cars? You read about them, follow news and you know loads of things from the industry? But, high-end cars are a vastly expensive hobby and we’ll never see most of the objects of our admiration and we have to come to peace with the fact that there are guys out there who will enjoy these machines on a daily basis without really appreciating the cars they own. These guys who will use these wonders to show off rather than enjoy the ride itself. Most of us will never get a chance to be so negligent with such a technological wonder. But a guy can dream. All the fantastic rides that represent the top supercars of today in which most of us would love to have a ride await below. This beast is a modified Lotus and it packs a twin-turbo 7 l V8 good enough to produce 1,244 hp. Great aerodynamics is also present, so it is a serious competitor for the place of the fastest road car in the world. On a single run (two required) it was just a notch faster than the Bugatti Veyron Super Sport, so we know it’s capable of a record breaking run in theory. The speed was 270.49 mph (439.22 km/h). Italians have done it again. The Zonda was weird and magnificent at the same time and its successor is even more so. 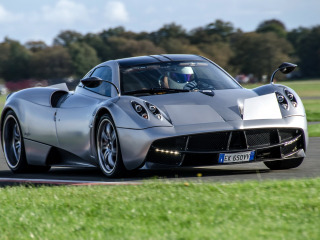 The Huayra is powered by a 6 l twin-turbo V12 made by Mercedes-AMG and it has 730 hp. Loads of other tech perks give it the 0-62 mph (0-100 km/h) run time of 3.2 seconds and the top speed of 231 mph (372 km/h). Moreover, it is lightweight and perfectly balanced, so it beat the awesome Ariel Atom V8 on the Top Gear track by 1.3 seconds. And the interior design is out of this world. Maybe the best car from the factory ever. Dare we say that for a manufacturer with such a history? You decide. It has a V12 with 6.3 l of displacement and it is paired up with an electric motor. This hybrid setup allows for loads of power (950 hp all together) and the top speed of 218 mph (351 km/h). The 0-62 run is actually even more awesome and it stands at 2.6 seconds. Moreover, this car is faster on a quarter-mile run than most other cars out there – it takes 9.8 seconds. 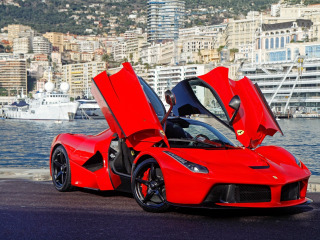 At the moment, this is the best Ferrari and there is no way that the best Ferrari is anything less than spectacular. The P1 is probably the single viable competitor for the LaFerrari. Also a hybrid, it has the combined power of 916 hp and reaches 62 mph (100 km/h) two seconds slower than the LaFerrari. The top speed is limited at 217 mph (349 km/h). For a car of this class, the P1 is considered extremely lightweight so it is a joy to drive. Yeah, that’s a long name. 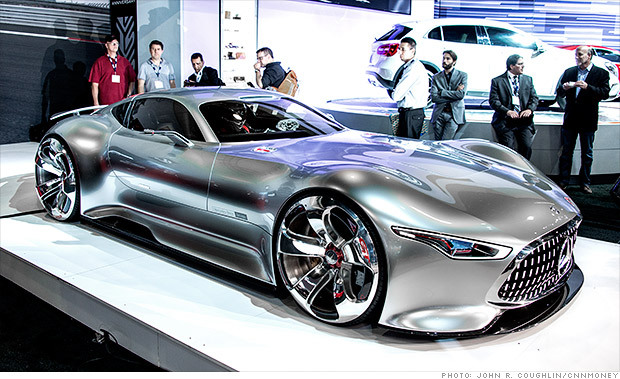 In all honesty, this car was intended for the Gran Turismo 6 video game, but it became an instant hit due to its outstanding design, so Mercedes-Benz produced a car that they could present t the public. After it was featured in real life, it became even more revered, so some independent companies have presented us with the possibility of creating this wonderfully sculpted car. JUST LOOK AT IT.